*Why We’re Voting Yes, Ithaca.com, November 5, 2017. Voters should approve Constitutional Convention, Star-Gazette, October 29, 2017. Vote ‘yes’ on a constitutional convention, Long Island Herald, October 26, 2017. Vote ‘yes’ on NY constitutional convention. The Post-Standard (syracuse.com), October 22, 2017. *The case for a con con: Albany will never clean its own houses, New York Daily News, October 21, 2017. Prop. 1: Yes to a ‘con con’, Times Union, October 21, 2017. *New York voters should approve Constitutional Convention, Rochester Democrat & Chronicle, October 21, 2017. *What a ‘yes’ vote on the constitutional convention requires, New York Post, October 14, 2017. *Myths and realities of a constitutional convention, Newsday, October 14, 2017. *Take note of the interests opposing a constitutional convention, Buffalo News, October 12, 2017. Voters should give Constitutional Convention a chance, Poughkeepsie Journal, October 6, 2017. Constitutional Convention can put the people in charge, Lohud.com, September 29, 2017. Vote Yes for a Constitutional Convention, The Queens Courier, September 21, 2017, page 30. *In Our Opinion: New Yorkers need to approve a convention, The Daily Star, September 20, 2017. Ormsbee, Tracy, Consider a Convention for New York, Adirondack Explorer, September 14, 2017. New York needs a constitutional convention, Buffalo News, August 11, 2017. Farm injustice on trial that must end the unfairness, New York Daily News, July 24, 2017. Errol, Louis, Rouse N.Y.’s sleeping powers with a people’s convention to fix our broken state Constitution, New York Daily News, July 18, 2017. Why New York might dance the con-con, AM New York, July 10, 2017. Fix this government and vote this fall for a Constitutional Convention, New York Daily, News, May 22, 2017. Update the ways New York votes, AM New York, May 7, 2017. In Our Opinion: New Yorkers need to approve a convention, Daily Star, September 20, 2016. No action on constitutional convention, The River Reporter, August 24, 2016. Constitution flaws must be addressed, Press Republican, December 17, 2015. Editorial (Melissa Hale-Spencer), Honor New Yorkers who fought to govern themselves, Altamont Enterprise, August 6, 2015. New York can still fix this, Albany Times Union, July 1, 2015. Leaders failed; let people try, Press-Republican (Plattsburgh, New York), March 29, 2011. 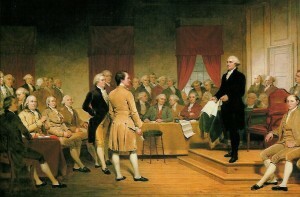 New York State needs a constitutional convention, Newsday, June 24, 2009. ‘Con Con’ won’t lead to reform, Niagara Gazette, October 29, 2017. This is the Niagara Gazette‘s third editorial opposing a convention. In its third, it continues to report as fact the widely debunked cost figure of $336 million. The primary investor in Niagara Gazette is Retirement Systems of Alabama, which administers the pension fund for Alabama government employees. *Constitutional Convention: Thanks, but No Thanks, New York Times, October 31, 2017. Editorial, A chance to make corrupt leaders pay a price, Niagara Gazette, September 24, 2017. Note that this is the second editorial by the same newspaper. Editorial, A chance to change the constitution, Niagara Gazette, January 2, 2016. Editorial, Amending our state constitution won’t be easy, Daily Gazette of Schenectady, August 9, 2015. Also published here in the News Tribune. *How Con-Con reshaped the election, Newsday, November 27, 2017. *New York’s victorious con-con opponents can now get to work, Newsday, November 26, 2017. Path to change steeper after NY constitutional convention defeat, Syracuse.com, November 9, 2017. Editorial: Shine light on dark money, Times Union, October 7, 2017. The City Council’s Kremlinesque crackdown, New York Post, July 23, 2017. NY constitution measure makes 2017 more than a ‘local’ election year, Lockport Union-Sun & Journal, June 26, 2017. Be ready for constitution measure on local ballot, Niagara Gazette, June 25, 2017. Why New York State might vote to do the con-con, Newsday, May 30, 2017. Newsday stops just short of an outright endorsement of a yes vote. Let’s talk about clean water and air, AM New York, April 24, 2017. Miller, Ted, New York Proposing Constitutional Convention To Hand More Legislative Authority To An Elite Few, Liberal America, March 23, 2017. Note: title suggests opposition but content is neutral or even slightly positive. Cronies with benefits, Times Union, March 25, 2017. Anagnostakis, Mike, My view: Get ready for a monumental vote this November, Times Herald-Record, March 12, 2017. No time to waste in 2017 Albany Agenda, AM New York, January 9, 2017. No recall for New York, Times Union, January 24, 2016. * For one reason or another, articles marked with an asterisk were deemed especially noteworthy by The New York State Constitutional Convention Clearinghouse.